It finally happened. 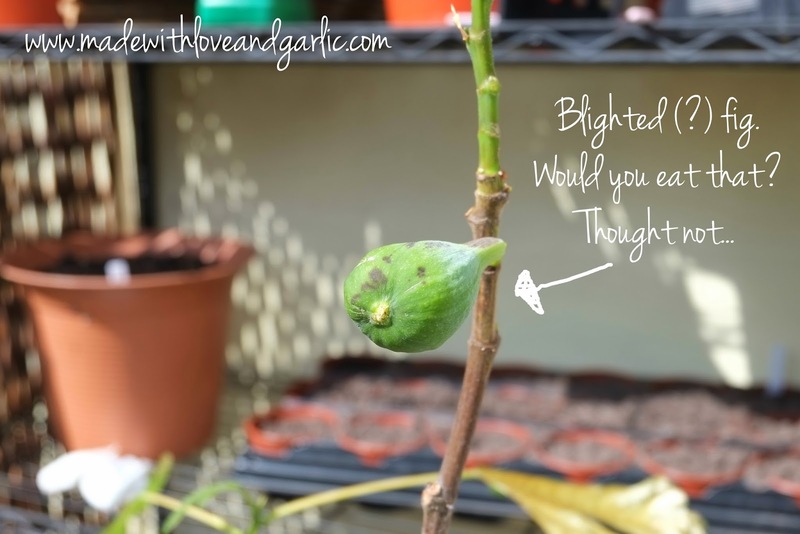 I was so thrilled by my Brown Turkey fig tree as it produced so many overwintering figs, you know, over winter. And as we’re having such a warm snap at the moment, I thought I’d pop it outside so that it could enjoy some of this lovely bright sunshine. So I popped it in the garden, left it for a couple of days and then went out yesterday after the morning’s rain and basically watched it die. It’s sort of withered. 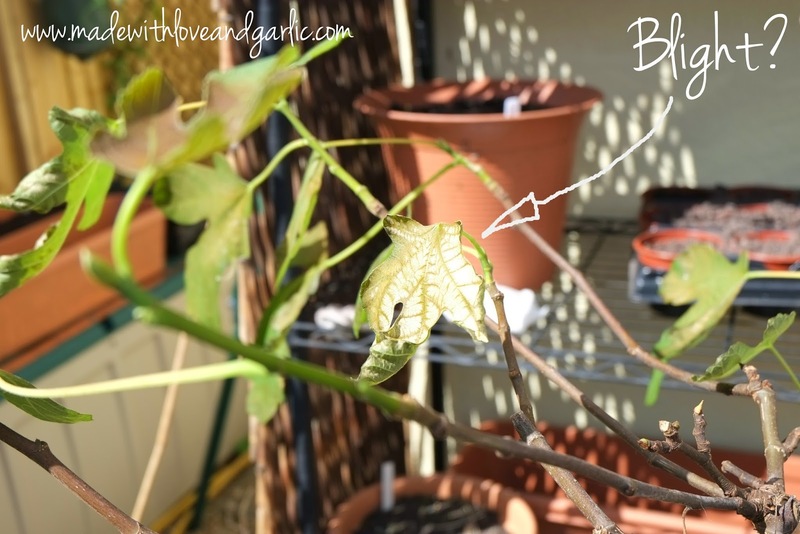 The leaves and fruits curled up and died! 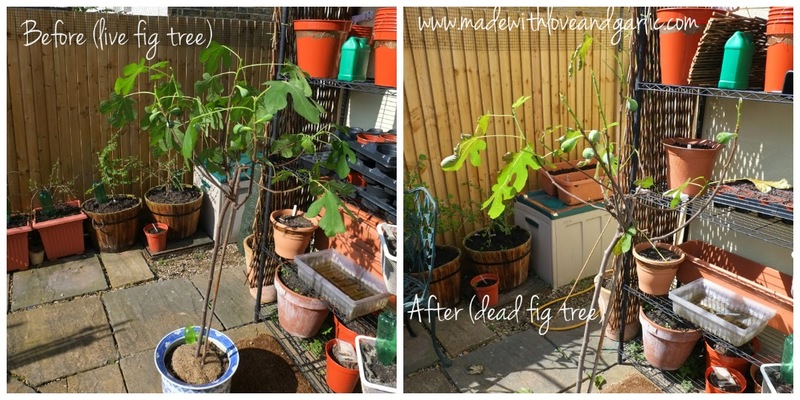 Poor, poor fig. Another one for the failure list I’m afraid. What a shame.